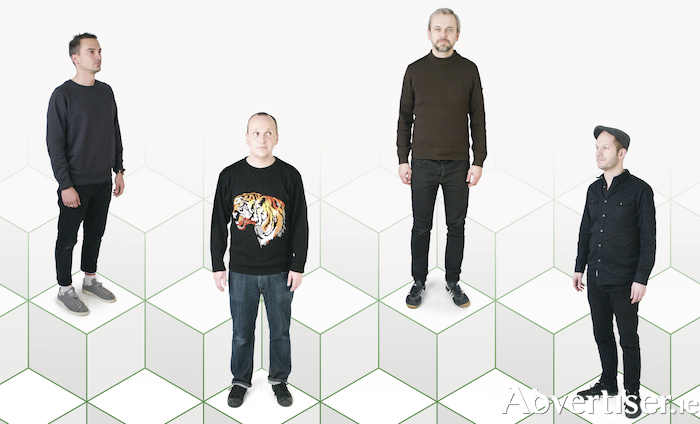 The Observer declared: "Overlaying a seductive motorik pulse with stream-of-consciousness lyrics reminiscent of early Underworld, Fujiya & Miyagi achieve a sly but strangely affecting synthesis. If you like the Hot Chip album, you'll love this." NME praised the band's "pulsating rhythms, eerie harmonies, and sublime funk grooves”. The Guardian called Transparent Things "one of the year’s freshest dance records but also the wittiest". To mark the album's 10th anniversary, Fujiya & Miyagi have been performing it live on their current tour, which takes in Strange Brew at the Róisín Dubh on Thursday November 30 at 8pm. The band have re-issued the album on vinyl with a bonus CD/download, Different Blades From The Same Pair Of Scissors, featuring a 43 minute piece of music commissioned by Nike. Support is from the excellent Irish band Slow Place Like Home, whose new album, I See You...Ice Cream is out now on Strange Brew Rekkids. Tickets are available at www.roisindubh.net, the Ticket Desk at OMG Zhivago, Shop Street, and The Róisín Dubh.